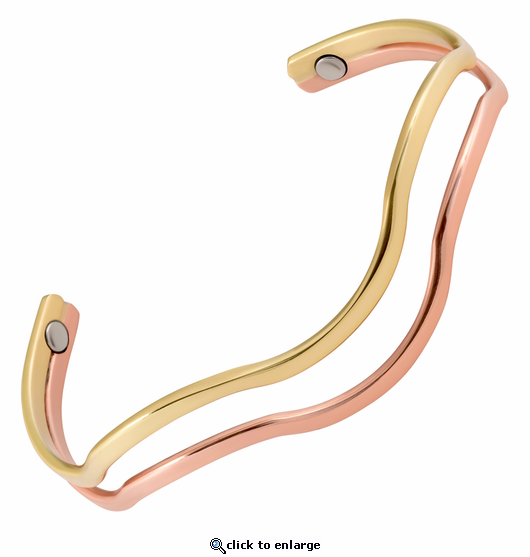 This delicate solid copper magnetic therapy bracelet offers a wonderful new style. It is made only with solid metals including pure copper and solid brass which is about 85% copper. This therapy bracelet has 2 permanent and powerful 3000 gauss rare earth bio north facing magnets and stainless steel magnet caps for added durability. We hope it makes you smile.